Football Field-Sized Asteroid Flew By Earth. Scientists Nearly Missed It. The giant asteroid, estimated to be between 47 and 100 metres in width, was flew by Earth at a speed of 106,000 kilometres per hour. 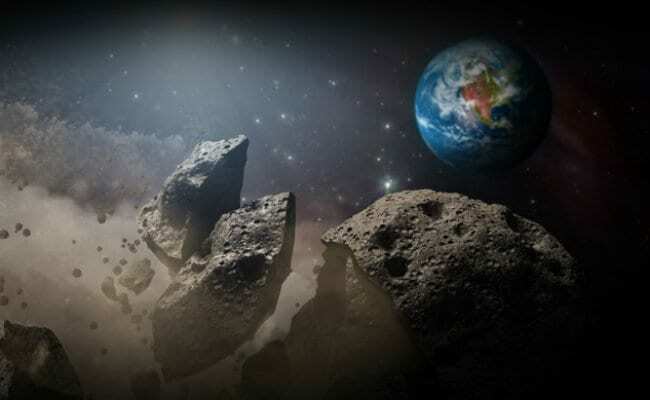 Reports suggest that the the asteroid was as close to planet Earth as half the average distance between the Earth and the Moon. New Delhi: It seemed like just another weekend. People across the world went about their plans as intended. Little did people, including scientists at NASA know that a massive asteroid, the size of a football field, came really close to Earth. Only a handful of scientists at NASA detected the asteroid as little as 21 hours before it crossed Earth by a narrow margin. The asteroid - named 2018 GE3, came closest to Earth at around 12:11 pm IST (2:41 am EDT) on Sunday, as reported by space.com. The 2018 GE3 is roughly 3.6 times the size of the one that impacted Earth in Russia's Tunguska region in 1908. That impact had cleared out a 2,000 square kilometre forest. "Should the 2018 GE3 have impacted Earth, it would have caused a significant amount of damage, however, it would have been regional, not global damage," a space and weather website reported. This particular asteroid was not just larger that the one that struck Tunguska, it was estimated to produced 185 times more energy than the Hiroshima atomic bomb, a report in space.com said. NASA scientists said they first noticed the massive asteroid at an observatory in Arizona less than 24 hours before the flyby.